Coach shares dropped more than 9% Tuesday after the company reported a disappointing decline in third quarter sales. North American comparable store sales plunged 21%, marking the fourth straight quarter of declines. The company also reported a 7% decline in third quarter revenue to $1.1 billion. 1. Coach’s core business in North America—the sale of women’s handbags and accessories—is failing. The company is trying to ramp up sales of men’s footwear and accessories in Europe and Asian markets to offset that weakness. 2. The company is continuing open new stores and grow its inventory in North America despite plunging sales in the region. 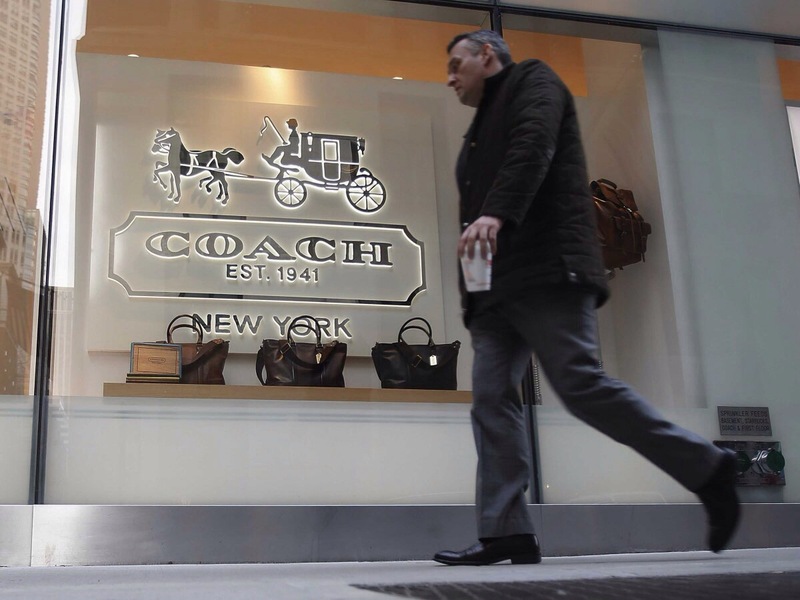 Coach executives said in October that the company was planning to increase its square footage in the region by 7% through 20 new store openings and 20 expansions, including two new store concepts at flagship locations in New York and Southern California. 3. Coach continues to face fierce competition from its much smaller rivals, including Michael Kors, Tory Burch and Kate Spade. Coach shares have dropped 10% in the past year, compared with a 72% jump in Kors and a 67% gain in Kate Spade. Michael Kors also overtook Coach this year as the most sought-after handbag brand among teens, according to a Piper Jaffray survey. Posted on April 30, 2014, in #international, #luxury, #retail. Bookmark the permalink. Leave a comment.